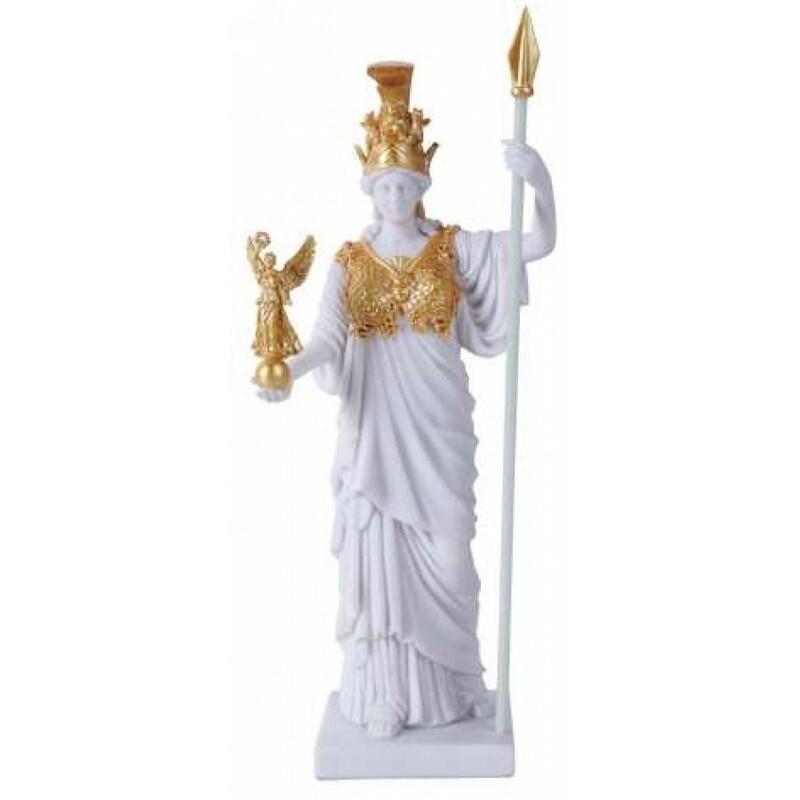 Athena, Goddess of Wisdom, Courage, and War is stunning in this white and gold statue nearly 12 inches tall. 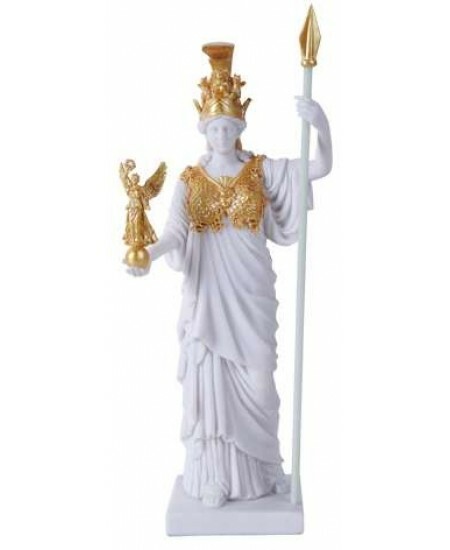 Athena, one of the most beloved Goddesses of Ancient Greece (and known as Minerva to the Romans), is shown here as she was said to appear within the Parthenon holding Winged Victory in her hand. 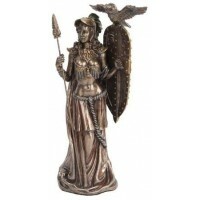 Athena is the goddess of wisdom, courage, inspiration, civilization, law and justice, mathematics, olive cultivation, strength, and war strategy. Warriors made offerings to her to insure their victory over their foes. 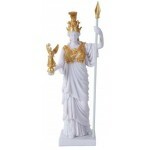 This cold cast resin statue has the look of white marble and is accented with gold leaf details. She stands 11 3/4 inches high with amazing detail. Item Number: PT-11266 | Approximate Size (Inches): 4.25 wide x 3.00 deep x 11.75 high | Approximate Shipping Weight: 3.00 lbs.